The evaluation of the vast majority of children with anomalous aortic origin of a coronary artery (AAOCA) and/or myocardial bridges is performed with non-invasive testing. However, a subset of these patients may benefit from invasive testing for risk stratification. All patients included in the Coronary Anomalies Program (CAP) at Texas Children’s Hospital who underwent cardiac catheterization were included. Techniques included selective coronary angiograms (SCA), intravascular ultrasound (IVUS), and fractional flow reserve (FFR) measurements with provocative testing using adenosine and/or dobutamine infusions. 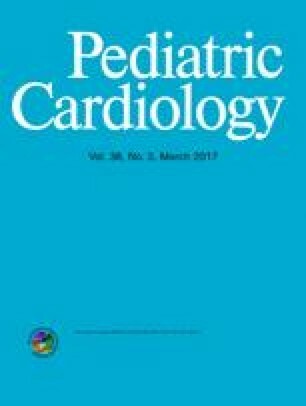 Out of the 131 patients followed by the CAP between 12/12–4/16, 8 (6%) patients underwent 9 cath investigations at median age 13.1 (2.6–18.7) years and median weight 49.5 (11.4–142.7) kg. Six patients presented with cardiac signs/symptoms. Four patients had myocardial bridges of the left anterior descending (LAD) coronary artery, 2 patients had isolated AAOCA, and 2 patients had an anomalous left coronary artery (LCA) with an intramyocardial course of the LAD. SCA was performed in all patients. FFR was positive in 4/6 patients: IVUS showed >70% intraluminal narrowing in 3/5 patients. One patient had hemodynamic instability that reversed with catheter removal from the coronary ostium. Based on the catheterization data obtained, findings were reassuring in three patients, surgery was performed in three patients, and two patients are being medically managed/restricted from competitive sports. In our small cohort of patients, we demonstrated that IVUS and FFR can safely be performed in children and may help to risk stratify some patients with AAOCA and myocardial bridges. All the listed authors have made a significant contribution in the preparation and review of the manuscript.